In our recent article on early pregnancy symptoms, we talked about different ways to track your cycle. One way is to use a period tracker app. These allow you to input your menstrual cycle and keep a record of when your last period was, and project when your next period will most likely start. 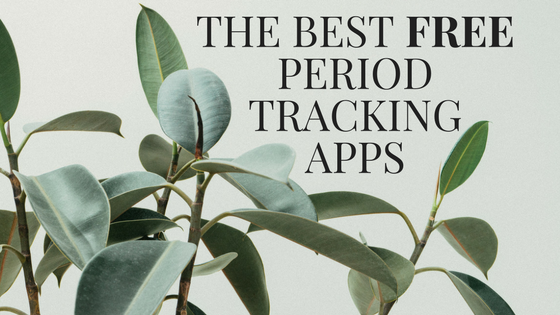 The good news is that there are A LOT of period tracking apps out there to choose from. But how do you choose which app is best for you? We’ve reviewed and highlighted 5 tracker apps that we found useful. Clue has a great interface that is not too girly and cutesy but pretty straightforward. It shows you where you are on your cycle. 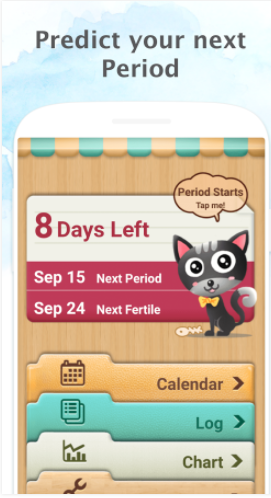 You can track more that just when your period started and finished. You can track your moods, what your flow is like as you are menstruating (light medium, heavy, etc. ), and other symptoms you may be experiencing, such as cramps, headaches, etc. Like the previous app, the interface on FEMM is simplistic, without too much going on. One thing this app does better than the others is help you track more regarding your cycle. 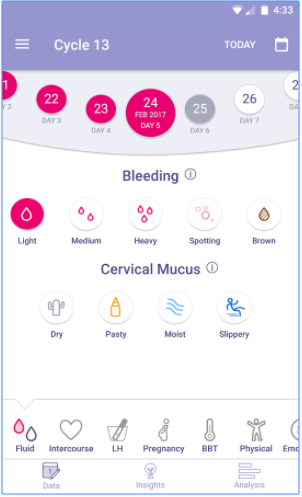 For those who choose to use natural family planning as their birth control option, this app lets you track your basal body temperature and ovulation testing, as well as any medication you may be on. If your looking for an app with less options and just tracks your period, Period Calendar can be a good option. The app and icon look like a calendar app, which can allow for more discretion than other apps. 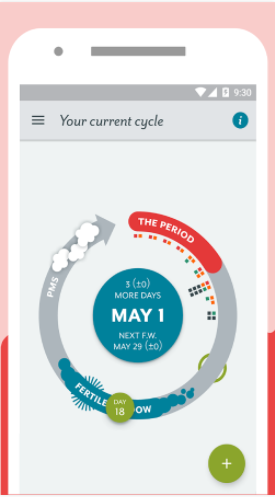 This app allows you to click a button when you start your period and when it ends, helping you to record your past cycle and predict future cycles. Flo has a pretty interface, which allows for the tracking of your cycle, symptoms, moods, and other noteworthy things that have happened (i.e. traveling, days of heightened stress, etc.). After inputting your information for the day, the app will suggest several articles that may be relevant to you, based on your input. This can be a good option for those who want to understand even more about their cycle and why they may experience certain symptoms at certain times. Maya also has an attractive interface. It is less intuitive when inputting information, but gives similar options as far as what you can track. There is also a social aspect to this app, that allows for articles, tips, and questions regarding your cycle. There is a premium option that removes ads and allows for additional tracking of weight and temperature if that is something you are looking for. Many of these apps are similar, the most important thing is to have some way that works best for you to help you track your cycle. If you have a favorite app, let us know about it!